Leaves Spa invites you to come and be spoiled in this elegant but relaxed spa. Get away from it-all, and destress in this tranquil setting. The spa boasts with luxurious treatment suites ideal for couples. Our therapists are professional and offer quality treatments such as body massages, exfoliations and wraps which will sooth your tensions away. Enjoy a unique experience in the rasul where you detox with black mud from the Dead Sea. 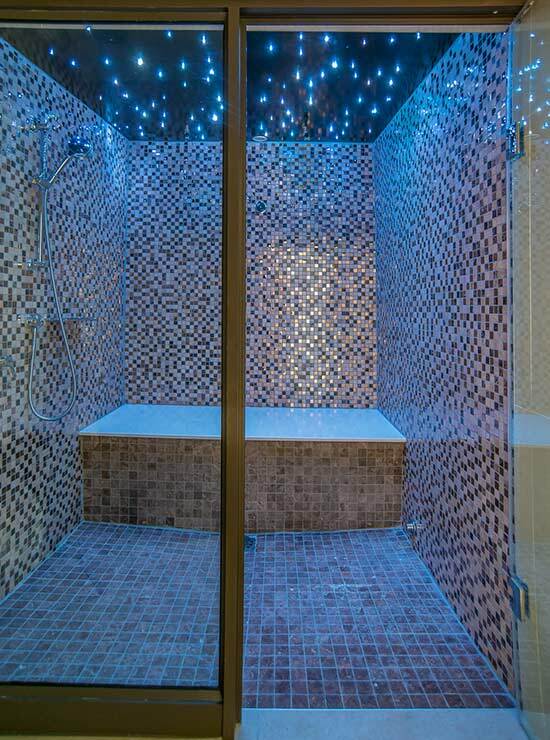 The combination of steam and rain will leave you energized and revitalized. Come and be treated like royalty in our stylish pedicure chamber, while sipping on a cocktail. Chill-out in the outdoor treatment area next to a murmuring stream, and enjoy an outdoor shower. The products we use include some of the best international brands such as Thalgo, and authentic Black Mud from the Dead Sea. We specialize in couples and group bookings. Leaves Spa is the ideal destination for a pamper party, or team-building session. A gift voucher from Leaves Spa is the perfect gift for special occasion such as mother’s day, birthday, anniversary, mother’s to be or anyone in need of pampering.